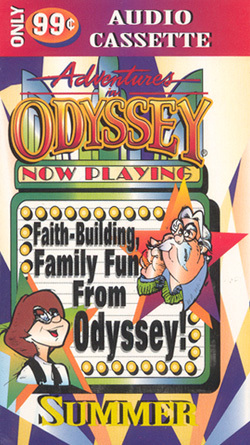 Compassion and faith in action share top billing in these two intriguing radio dramas starring your "Adventures in Odyssey" favorites! Just try and keep up! Bernard and the BTV gang have produced another multi-media spectacular, featuring a fresh look at classic stories and a unique quiz show on compassion! It's lights, camera and lots of action!